Question for the day: What brings us to make particular choices? Choices which range from our music preferences to major life decisions? Religion is one such important life choice. Christianity, Islam, Judaism, Hinduism, Buddhism… the Big 5 (in terms of the most well-known religions). Courtesy of the Museum of Fine Arts, Boston. Today I shall be looking at Buddhism. What is the draw? Why is it becoming more and more popular in the Western world? Traditionally, Buddhism was found only in Eastern and East Asian countries: think Tibet, China, South Korea, Vietnam, Sri Lanka, Thailand, Laos, parts of India, and even parts of Russia. So, where does the appeal lie for celebrity adherents such as Tina Turner, Orlando Bloom, Kate Bosworth, Richard Gere, and Tiger Woods? Buddhism entails four stepping stones (also known as truths): The Truth of Suffering, The Truth that there is a Cause of Suffering, The Truth of Stopping Suffering, and The Truth of the Path Leading to the End of Suffering. To sum up: 1.) Everyone has problems. Life is full of complications. 2.) These problems and complications are the result of something. 3.) It is possible to get rid of confusion and lack of understanding – which are the basis for the cause of problems. We need to change our attitudes. 4.) Correct understanding – the understanding that everything is connected, and thinking about everything on a large/universal level – will result in an open and relaxed state of mind. By examining our problems on a universal scale (making everyone is equal) followers of Buddhism are able to find solutions which are realistic and fair to everyone. Seated Buddha in the lotus position, date unknown. Bodh Gaya, Bihar state, India. Along the way, Buddhists develop their levels of maturity, wisdom, and their moral code – not a bad combination of qualities in my opinion. But, looking closely at the steps that Buddhists follow, it is apparent that the truth of universal problems is a key issue at the moment. Financial crises, debt, wars, broken homes, and broken marriages, to name but a few – these are all too common facts of life in this day and age. People need solutions, and don’t know where to go – so Buddhism as a way of life is appearing more and more attractive… after all, who isn’t looking for some peace of mind? What is very clear to me from looking at these few Western celebrities who also happen to be followers of Buddhism is that, no matter who you are, or how famous you might be, everyone is searching for something. And that folks, is a universal truth! The Museum of Fine Arts, Boston is currently holding an exhibition on Divine Depictions – Korean Buddhist Paintings. This is running until the 23rd June 2013, so to find out a bit more about Buddhism in art and in Korea, why not check this fascinating exhibition out?! 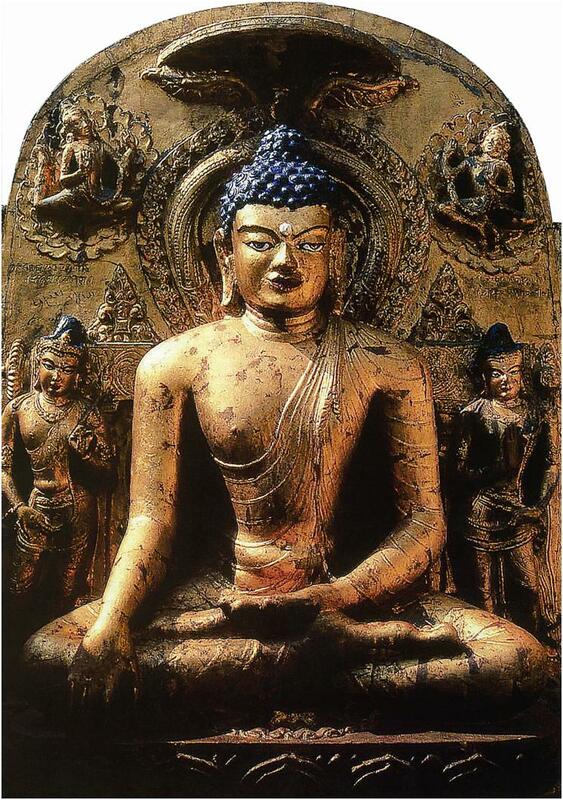 To really get to grips with the depiction of Buddhism and Buddha, pick up a copy of T.W. Rhys-Davids’ 1000 Buddhas of Genius. Previous Entry Weniger ist Mehr?